Infinix is out with another smartphone in its Note series even if the name is somewhat confusing. The newly released Infinix Note 5 Stylus is a metal clad mid-range smartphone. While it offers a decent camera and display with internals that are not really quite the powerful type. 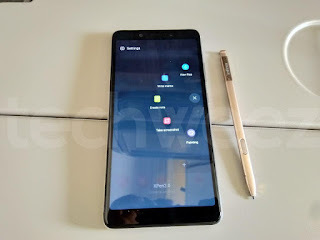 The stylus in question was also featured on the Infinix Note 5 which was a bit wierd seeing Stylus being added to the name on the new release. The smartphone is being paraded to come with an addition of AI for a better experience. There’s a typical Infinix build although with evolution into the modern 18:9 aspect ratio and with more bezel reduction to fit in a bigger display. Covered by a polished metal, the smartphone looks and feel sturdy in the hand. The rear camera and fingerprint sensor are housed in the same space that remains black in all three different colour options. There is the stylus too which is housed at the side of the smartphone. Fair enough, the Infinix Note 5 Stylus offers a nice large display with some bezel reduction in play too. The screen spans 6.0-inches diagonally which is nice considering you’ll be using a stylus with it. Similar to Samsung phones, the display is also an ”Infinity screen’s which in this case has a resolution of 2160 X 1080 pixels. Some of the Infinix smartphones have been known to come with ample battery capacity and the Infinix Note 5 Stylus joins this list. Harnessing power from a 4, 000mAh battery, you can be rest assured of an all day power in the smartphone on normal usage though. There is also X Charge, Infinix own fast charg feature on the smartphone to speed up charging. Photography on the smartphone, involves a single camera on both side. Also, the two cameras have the same pixel count, there is a 16MP front camera and another 16MP camera at the rear both boasting of AI enhancements. 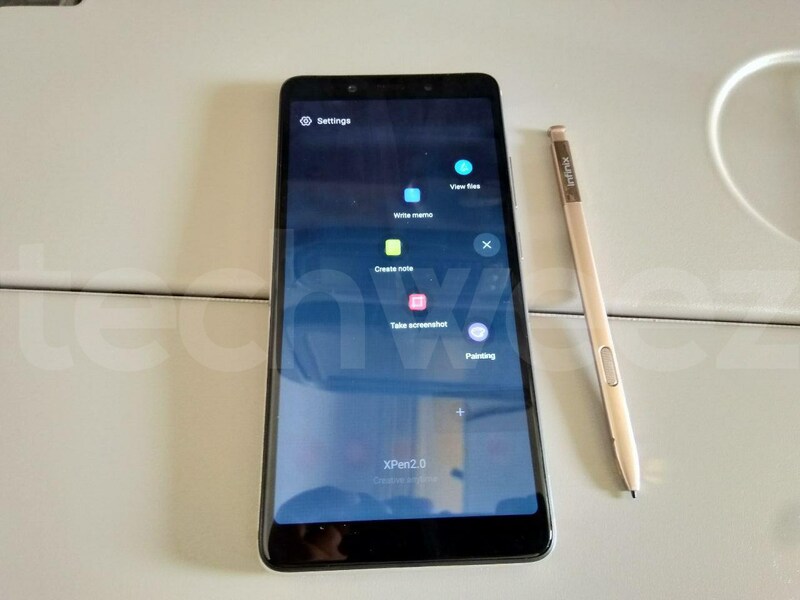 On the Infinix Note 5 Stylus, there is the OEM”s most used type of chipset maker which is the MediaTek SoC and in this case it is the Helio P23 processor with a Mali-G71 GPU for munching graphics. Included also is a 4GB RAM and a 32GB storage space expandable to 128GB. However, it runs on Android One which is a pure stock OS meaning it does not have XOS modification. The smartphone is on sale for about 70, 000 Naira depending on the deal and your location.